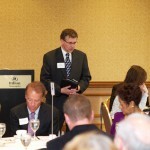 What is the Minnesota Prayer Breakfast all about? We are a group of friends seeking to know and follow Jesus and inviting our friends and neighbors to join us. We don’t have all the answers. We know the search for unity means laying down some of our preferences and the ways we’ve always done things and to be open to the wisdom of others. We know that God loves each and every one of the over 5 million Minnesotans. We gather to work and pray for unity so that they can come to know him and have their lives transformed by his love. 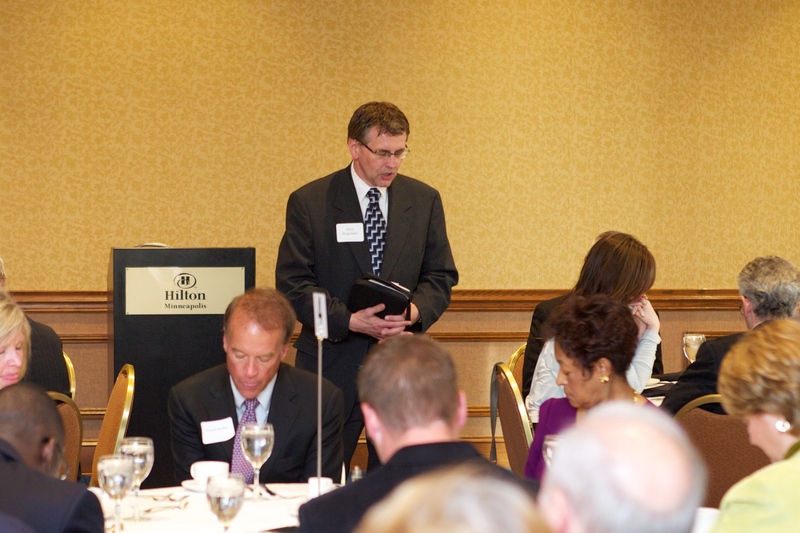 The Minnesota Prayer Breakfast is organized by a group of friends who are seeking God in their lives and trying to conform their understanding and behavior to what he has revealed to us. As we study the scriptures, we see that unity is close to the heart of God and he desires it for us. We also see the terrible effects of disunity all around us. We know unity is important to God and we have chosen this theme to learn about it, to make it part of a broader community discussion and to use it to invite Minnesotans into a deeper relationship with the Lord and each other. As part of that same prayer he prayed:”Holy Father, protect them by the power of your name, the name you gave me, so that they may be one as we are one.” It is important to ponder the question: what was he praying for? I think he prayed for unity for us because of what it proves and what it produces. First, unity proves we have a connection to God. The Jesus we meet in the Gospels leaves no ambiguity about what are the most important things for human beings for their lives ; “‘Love the Lord your God with all your heart and with all your soul and with all your strength and with all your mind’; and, ‘Love your neighbor as yourself.’ ” (Luke 10) As we love God with everything we are, the love for our neighbor follows right along. When we enjoy unity with God, we are united with our neighbors who have had the same experience. Prayer is a tremendous unifier! That’s why we call it a Prayer Breakfast, rather than a Theology Breakfast or a Project Breakfast. As we pray together, we become unified on the God dimension and the human dimension. When Jesus gave us a model of prayer, it was not “My Father who art in heaven…”, but “Our Father….” it was not “my daily bread…” but “our daily bread…”. As we seek God and pray together, unity is a blessed by-product. Unity is an expression of the love we are called to practice. Love overcomes any bias or prejudice: political, religious, racial, gender, age, ethnicity or whatever. As such, it is a powerful preference for harmony over discord. We live in an increasingly alienated age, where controversies and grudges proliferate every day. To seek unity is to consciously abstain from the things that make for disunity – like gossip, abusive humor, use of language that diminishes, excludes or divides people – and to be devoted to things that make for unity – dialogue, forgiveness, restoration and healing. And when we embrace that unifying love, all kinds of ends become possible, ends for which the whole world yearns. “Then the world will know that you sent me and have loved them even as you have loved me,” Jesus prayed. Unity draws people and disunity pushes them away. Do you know people who have walked away from a life of faith because of the anger and division they have seen within and among the churches? Can you blame them? People of faith need to protect the reputation of the Lord we serve by living out the united, reconciled lives he called us to live. Fourth, unity can also produce opposition. We have to acknowledge that though unity is desirable it is hard to achieve. We have even heard people tell us that “unity is such a divisive word!” Unity has been misused to squelch dialogue and silence legitimate opposition. We realize that there is something very powerful at work in the world that hates unity and that we need to work and pray against it. Embracing unity means making a commitment to a long, patient, loving and prayerful effort to understand why we are divided and take the challenging steps to be healed.